Getting from LaGuardia to Manhattan can feel overwhelming when you’re not familiar with the New York area. You arrive into the northern part of Queens with the Manhattan skyline shimmering in the distance like a desert oasis. And, all you want is just quick and simple info to help get from LGA to Manhattan so you can start your NYC trip off right! 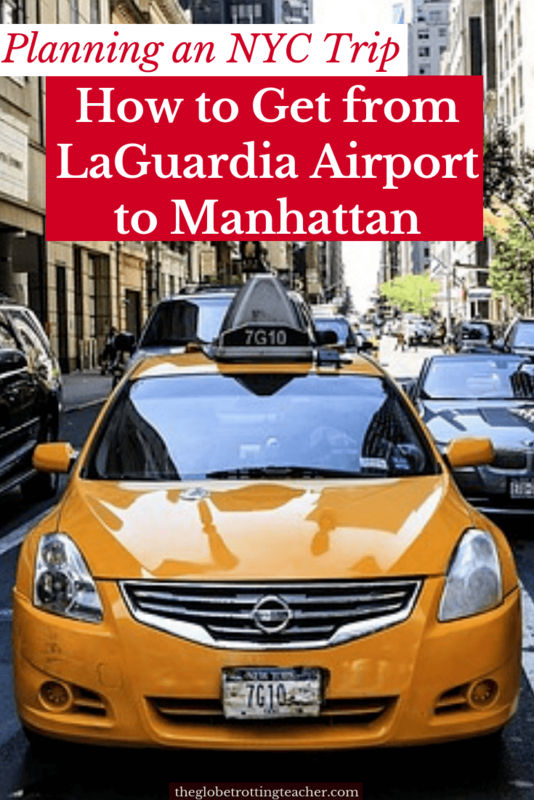 This detailed guide (written-by-a-local) will help you decide the best way to get from LaGuardia Airport to Manhattan with all the step-by-step information you need to make a successful New York airport transfer. LaGuardia Airport is the closest airport to Manhattan. 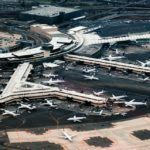 Distance-wise, it’s about 8 miles from LaGuardia Airport to Times Square but the airport’s $8 billion construction renovation has made getting in, around, and out of LaGuardia a little trickier. The good news is things are s-l-o-w-l-y improving and transportation from LaGuardia to Manhattan is becoming manageable again. Metered taxi service is available at all LaGuardia Airport terminal buildings. A taxi from LaGuardia to Manhattan has no flat fee like there is from JFK to Manhattan. 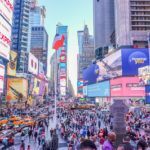 Since the ride is on the meter, costs will depend on where you need to go to in Manhattan, the amount of traffic you experience, and the amount of time spent in the taxi. Generally, a taxi from LGA to Manhattan can cost you between $35-$50, not including tolls, tip, and any applicable surcharges. But, keep in mind, an LGA to Manhattan taxi fare can be significantly more during peak traffic times and/or if your NYC hotel is outside of midtown. Similarly, pre-arranged car services and app-based car services like Uber and Lyft offer transportation from LGA to Manhattan. But, you’ll need to navigate the current construction issues. If you arrive into Terminal B, your car service will pick you up on the 2nd level of the new Terminal B parking garage. From the departures level, follow the signs to the temporary, covered walkway that connects to the 2nd level of the garage. The pick-up areas for Terminals A, C, and D are outside the terminals. The best thing to do is to make contact with your driver to let them know where you are once you’ve exited the baggage claim area. 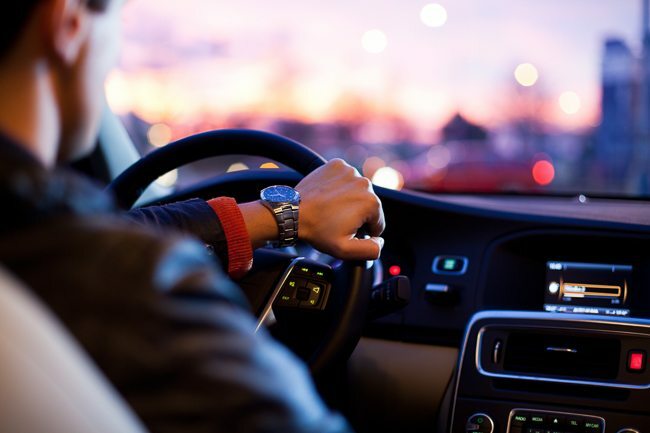 Depending on the type of vehicle you book and the time of day, costs can range from $40.00 to $75.00. This is just a general range. Prices can certainly be higher. Again, traffic in and around NYC is always a factor. Car services do take away the stress of watching a metered cab tick up and up in price as you sit in seemingly neverending traffic. But, the amount of time it takes to get from LaGuardia to NYC could be as quick as 30 minutes or it could also take over an hour. Another option for getting from LGA to Manhattan is by shuttle or shared van transport. 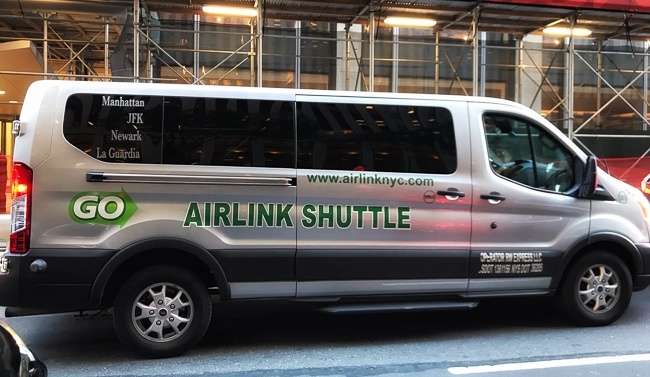 GO Airlink NYC is an official partner with the New York and New Jersey Port Authorities and is known as the most trusted New York airport shuttle among NYC hotels. 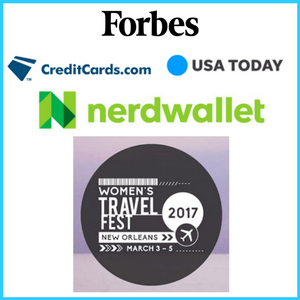 Their LGA to Manhattan shuttle allows you to share the cost of transportation with other travelers. But unlike a bus, this NYC airport shuttle provides door-to-door service. 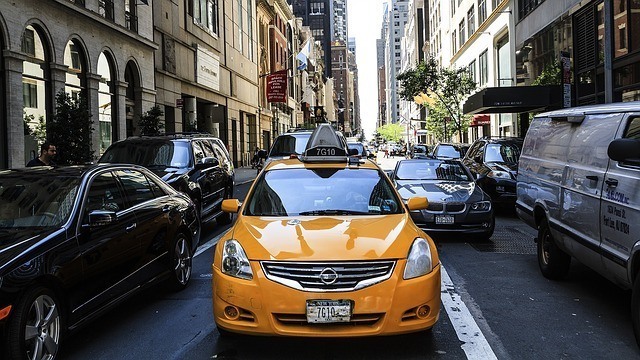 No need to connect to a subway or take a taxi once you’re in Manhattan to arrive at your hotel. Shuttle transportation from LGA to NYC is available 24/7 and can be reserved ahead of time for a stress-free arrival into New York City. 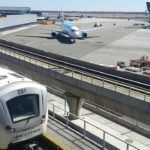 Unlike JFK and Newark, LaGuardia is the only major NYC airport with no direct rail link. The only direct public transportation available is via bus. 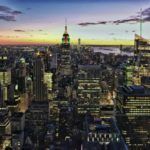 You’ll need to take a private company bus transfer to Manhattan or the NYC MTA buses directly into Manhattan with the option to make connections to the NYC subway system from bus stops along the routes. The Golden Touch Bus is an official express bus operator for the Port Authority. The service has 3 dropoff locations in Manhattan, Grand Central Station, Port Authority Bus Terminal & Times Square. 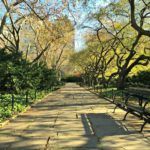 Keep in mind, this express bus is not door-to-door service, so unless your NYC hotel is near to one of the stops, you’ll need to walk, hail a taxi or take the subway to your final destination. The good news is these 3 dropoff locations are in prime locations with easy access to taxis and the NYC subway. This bus costs $16.00 for a one-way ticket and $30.00 for a round-trip ticket and reservations can be made online ahead of time. However, round-trip service is only available from Grand Central and Port Authority Bus Terminal. There is no return service from Times Square. If you arrive into Terminals B, C, or D, look for the red signs directing you to the Golden Touch Transportation podium just beyond the ground transportation area. Passengers arriving into LaGuardia Terminal A will need to walk to Terminal B, C, or D.
Keep in mind, Express Bus Service is available 7 days a week but only between the hours of 11 am-7 pm. Buses depart on the hour. This means if you just miss a bus, you’ll have to wait about an hour until the next departure. As with any time you’re on the roads in New York City, take the word “express” with a grain of salt. The ride from LaGuardia to Midtown will typically take about an hour. LaGuardia is served by the M60 and Q70, both of which are Select Bus Service (SBS) lines. This means you need to pay your fare before boarding the bus in an attempt to load passengers onto the bus more quickly. You can use a MetroCard or the exact amount in coins to pay your fare. You’ll be given a ticket printout to show proof of payment on the bus if/when asked. MetroCards can be purchased at MetroCard vending machines located in the LaGuardia Airport terminals. A one-way trip on city buses or subways costs $2.75. Passengers using MetroCards on Select Buses from LaGuardia get a free transfer to the subway. 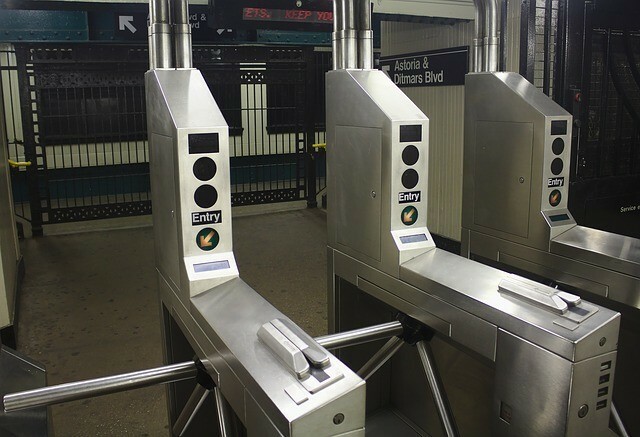 If it’s your first trip to NYC, just swipe the MetroCard at the subway turnstile and the transfer will register. The M60 SBS runs 24/7 from the LaGuardia Airport Terminals to Broadway and W. 106 Street in Manhattan. 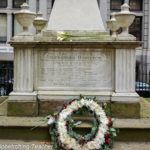 Along the way, there are several stops with NYC subway connections. My preference is always to get to a subway as quick as possible because it beats being on the roads with the NYC traffic. And, I recommend you do the same. 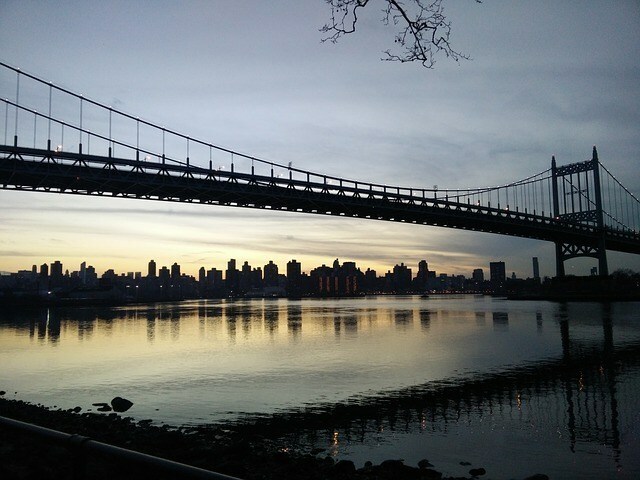 After leaving the airport on the M60, one of the first stops in Queens is Astoria Blvd. Here you have a connection with the N and W subway lines. This is an elevated train track in Queens before it goes underground in Manhattan. This is important because it means you’ll have to carry your bag(s) up some stairs to get to the subway platform. However, both the N and W trains make stops in Times Square, 34th Street/Herald Square, and have free connections to numerous other subway lines. 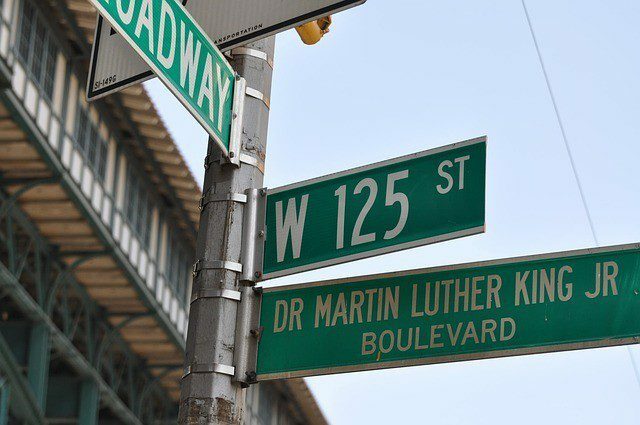 If you choose to stay on the M60 into Manhattan, the bus goes across 125th Street and has subway connections along the way with the 2, 3, 4, 5, 6, A, B, C, and D trains before finishing close to 116th Street and access to the 1 train. If your NYC hotel is in midtown, generally the best way to get from LaGuardia to Manhattan via the bus and subway combo is the M60 to the N or W trains at Astoria Blvd. 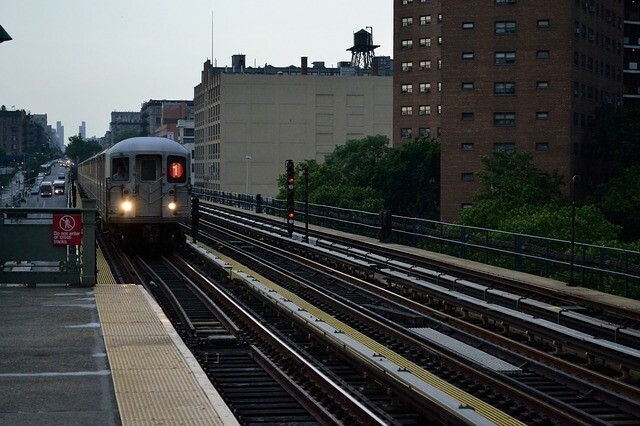 The Q70 SBS runs nonstop service connecting LaGuardia Airport Terminals B, C, and D to subway and Long Island Railroad connections in Jackson Heights and Woodside, Queens. This is a relatively newer SBS route from LaGuardia designed to be truly traveler friendly with things like luggage racks. However, it’s still gaining in popularity compared to the number of travelers using the M60 SBS. With the Q70, you can access the 7, E, F, M, and R trains. The 7 train makes stops at Grand Central and Times Square. Also, if you’re staying at a hotel in Long Island City, Queens, the E and R trains will take you straight into that neighborhood. You can take all of the above transportation choices to get to LaGuardia Airport from Manhattan when your trip is done. The only exception is there’s no Golden Touch Express Bus from Times Square. Car services and the Go Airlink Shuttle can be reserved ahead of time. If you’re hoping to take the bus to LaGuardia from Manhattan, take the 1 train to 116th Street and connect with the M60. Alternatively, you could also take the 2 or 3 trains to 125th Street to connect with the M60 bus to LGA. 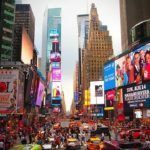 If your New York City hotel is near Times Square or in midtown west, these subway to bus connections are the most straightforward. 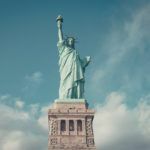 As always, how to get to LaGuardia Airport depends on your budget, flight times, and travel style. But, if you’re taking a taxi to LaGuardia, be mindful of your timing and the traffic. There’s nothing worse than being stuck in traffic knowing you’ve missed your flight. So, what’s the best way to get from LGA to Manhattan? Undoubtedly, the cheapest way to get from LaGuardia to Manhattan is by M60 or Q70 SBS connecting to the NYC subway. You just can’t beat a $2.75 New York airport transfer! On the flipside, a taxi or car service will be the most expensive but also the most hassle-free LaGuardia transfer to Manhattan. However, if you’d rather save yourself the hassle of public transportation and an expensive taxi ride, the Go Airlink Shuttle is a happy medium. 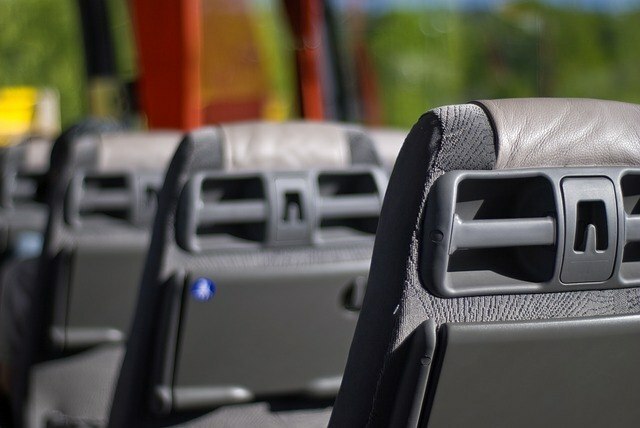 And, it edges out the Golden Touch Express Bus service because the shuttle is door-to-door and can be booked for the time your flight arrives versus waiting for the next bus on the hour. So, how do you plan to get from LaGuardia to Manhattan? But Oh boy….The subway is very intimidating. I’m heading into LGA through Delta next week and literally heading straight for Time Square so this was perfect for me. Still a little nervous…..
Im going to NYCwith my family anand my family from Colombia 7 of us and Im wonder what its the best transportation from LGA to time square? Thanks for reading, Lina. For 7 of you, it might be a good idea to check out the van transport with Go Airlink NYC. This way you can all travel together as a group and share the cost. 🙂 Enjoy your trip to NYC! Thanks for all the wonderful info! My fairer and I are coming to NYC for the first time in Feb 🤗 we are flying into LGA but staying in Brooklyn. What would you recommend being the best way to get from LGA to Brooklyn? Thanks for the information. That was supposed to say, my daughter and I are visiting-lol! We are staying near Carol Gardens. Why did you not include rideshare services? I love your picture of Peyto Lake at the top of your page! What is the best way to get from LGA to JFK in the evening? The shuttle bus does not operate past 7:00 PM and I have 2-1/2 hours to make my connection. Do car services have direct access to the LGA terminals or does one have to take a shuttle elsewhere to access these? Thanks so much for reading, Claude. Isn’t Peyto Lake just a beauty! The best way to do this is to take a car service from LGA to JFK. Your car service should be able to pick you up at LGA if you’re in terminals A, C, or, D. If you arrive into terminal B, they’ll be waiting on the 2nd floor of the West Parking Garage which eliminates the need for a shuttle to another location at the airport. Hope that helps and happy travels! Thanks for reading, Jose. I think this info might find you too late, but if by chance you still need transportation for 12 people, I would look at getting a shared van so you all don’t need to take multiple taxis or cars. Hope you have a great trip to NYC!